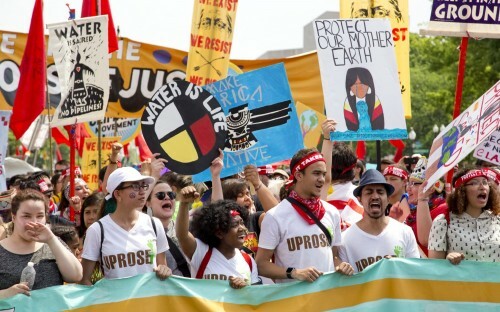 As we make our way through the tumultuous second decade of the 21st Century, a new vision is emerging to effectively address inequality, protect the planet, and ensure well-being for all as part of our shared destiny. Achieving these ends will require the concerted efforts of the business sector, governments, society, and, of course, educational institutions like my own. This is mindful business, business with a conscience, business with an ethical core. The shorthand? Sustainability matters. Taking sustainability seriously means tracking not just the carbon footprint of business, but its total footprint. It means viewing business holistically through a triple lens: economy, equality and ecology. Thankfully, this is not simply a theoretical construct. There are forward-looking organizations among us right now. The late Ray Anderson, CEO of flooring industry leader Interface, arguably created the model for socially responsible business. “[Anderson was] part of a new industrial revolution: one that demands ecological awareness,” note the editors at non-profit organization, TED. “Simply conforming to government regulations didn’t satisfy Anderson, who has made the march toward total sustainability an integral part of his company’s customer appeal,” they continue—Interface plans to be entirely sustainable by 2020. It is incumbent on tomorrow’s business leaders to examine these macro issues objectively, and to seek out diverse perspectives for reflection. This new credo for business education asks for an additional commitment: examine existing belief systems in light of the evidence presented, rather than scrutinizing the evidence based on pre-existing notions. It’s a sure way to discover the difference between being on the side of the evidence and insisting that the evidence be on your side. That realization, indeed, is a precursor to shaking up the status quo in schools of business… and well beyond. During summer 2016, and again in summer 2017, we chose not only to walk the walk, but talk the talk through a project that explored the moral and spiritual basis of sustainability; our plan is to repeat the experiment again this coming summer. Guided by concerns for health, sustainability and compassion, we looked especially closely at the ethics of eating. Might transitioning to a plant-based diet be the single most important grassroots change anyone could make to safeguard the sanctity of the planet? During the seminars, roughly 30% of participants made the switch. Several students opted to consume less meat and selected a smaller hybrid or electric vehicle to be their next car. Many committed to shorter showers, zero-plastic water bottles, and generally living more mindfully and compassionately. The seminar has one overarching goal: show participants how to transform from consumers into contributors. By teaching a graduate seminar on sustainable living, we have started small. Throughout the course, the project has variously addressed community gardens, micro-homes, plant-based whole food diets, and other like-minded initiatives. It’s been a focused, yet expansive, beginning. From these initial classroom experiences, the basic contours of the Sustainable MBA curriculum have emerged. Modules focused on Triple Bottom-Line, Corporate Social Responsibility, and Transforming Waste into Valuable Products, to classes on the Ethical Foundations of Sustainability and Smart Cities, should become the new norm for MBA curricula. This is anything but squishy; this is business—or, at least, what business education needs to be. Satinder Dhiman, Ph.D., EdD., serves as a professor of management and as the associate dean, chair, and director of the MBA program at Woodbury University’s School of Business. He is the lead editor of Spirituality and Sustainability: New Horizons and Exemplary Approaches,Springer, New York, NY – June 2016, and serves as editor-in-chief of a forthcoming major reference work, Springer Handbook of Engaged Sustainability (2018)—with Dr. Joan Marques.